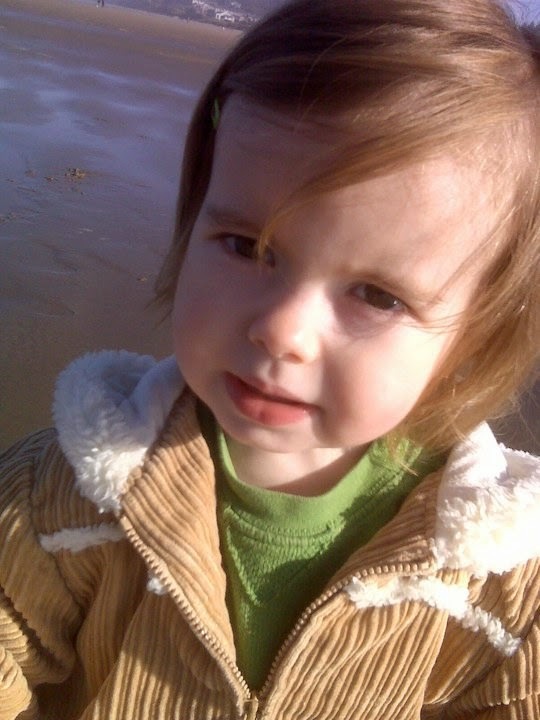 I never fully realized what a charmed life I had when Vienne was here, particularly the mornings. 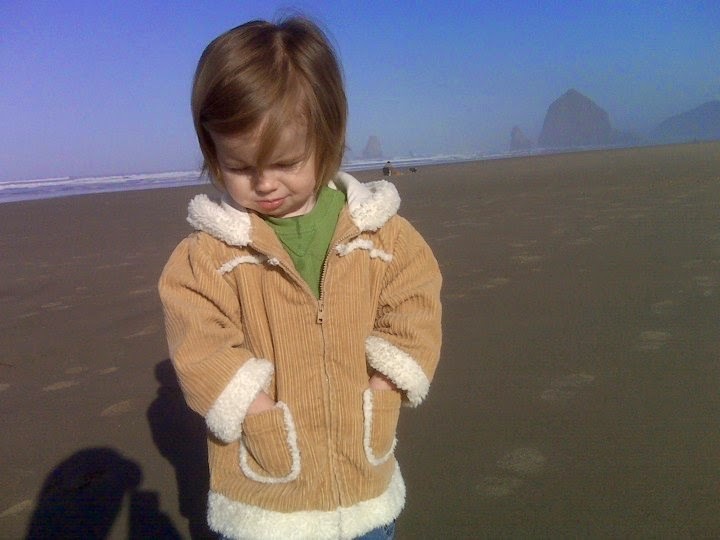 The first two years of V's life I was a realtor in Cannon Beach. The last two and a half years I was in sales for a heating/cooling company in Portland. With both, it was rare that I had to be out the door before 8:30. To some people, that means you get to sleep in until 8, or even 8:15. But not if Vienne were living in your house. From the very beginning V was an early riser and though I'm sure it happened I can't remember a day when she slept past 7! As I recall, she was typically up around 6:30 most mornings. And because it takes me a whopping 15 minutes to get ready for work, I almost always had an hour or two with her. 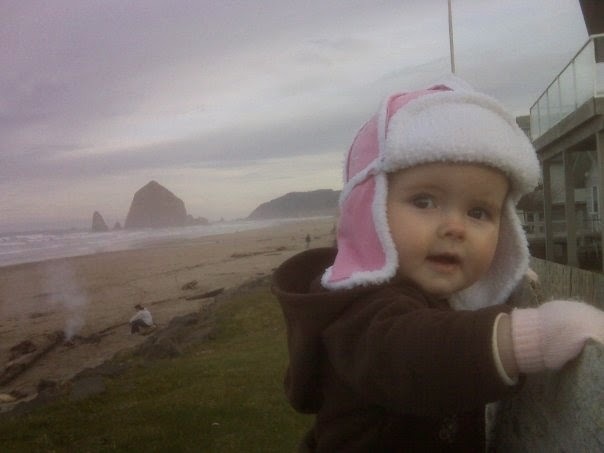 In Cannon Beach days, before she turned 2, we (I) would eagerly wait for the clock to strike 7 so I could pack us up and walk down to our favorite bakery Waves of Grain. 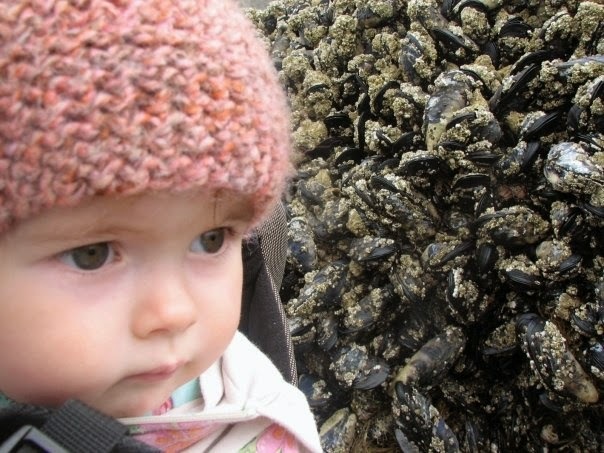 Often in misty morning coastal fogs, we'd stroller on down and spend 45 minutes hanging out on their cozy couch. When she was tiny she'd just sit next to me on this old couch that you'd just sink into, nibbling on snacks and watching people come and go while I read the Gazette. As she learned to walk she used the walls, chairs, display cases and occasional strangers leg to scale the circumference of the common area. I always felt like the staff and owners came to look at her as a little mascot. 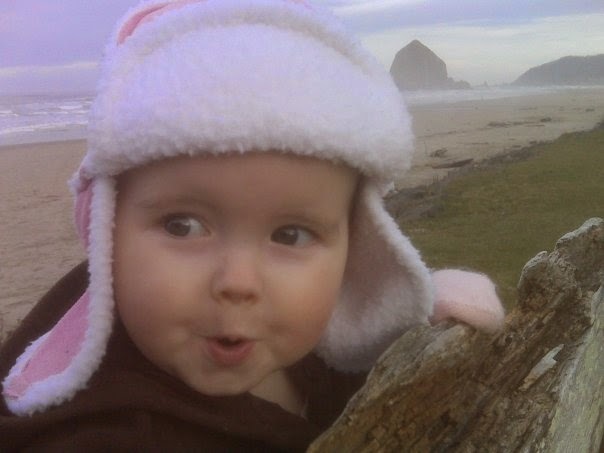 In fact, as I write this I remember that Waves of Grain Bakery is the first place I took Vienne a couple weeks after she was born. For those who like details, V's favorite treat at the time was the espresso bran muffin; I would steal the espresso glazed top and she would mine the muffin bottom for all the raisins. We complimented each other fairly well in this manner. Waves of Grain has since moved to Portland (yay!) and the space in CB is now called Sea Level Bakery. Through some odd providence, the new bakery owners are connected by family friends and very familiar with Vienne's story. 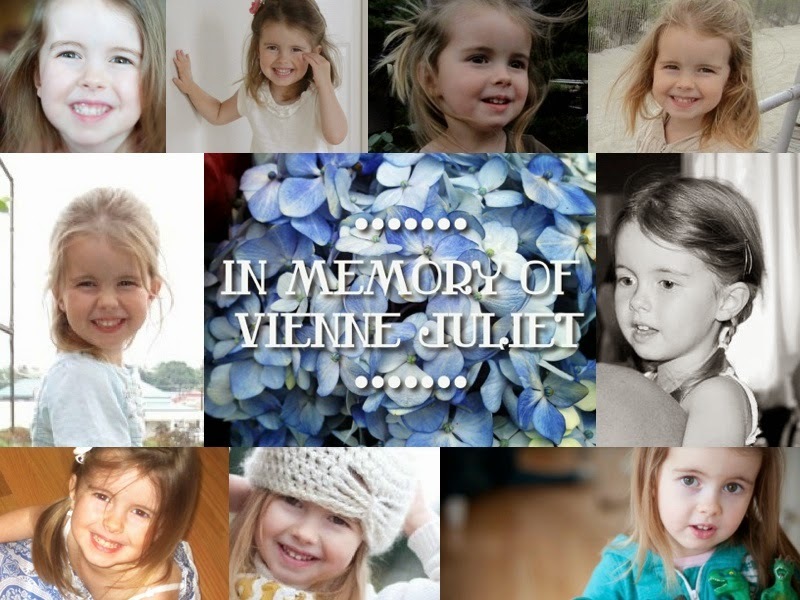 When they started remodeling the bakery this Spring they invited us over and asked if we had any ideas or thoughts on how they could honor Vienne's memory at the new bakery. I mean wow! Who does that? I haven't been back yet and haven't asked them what idea they landed on because I envision just walking in one day and smiling at whatever I see. The new owners are also the people who assisted Jenny's Mom in making her dream of Vienne's bench plaque a reality. In good weather we would sometimes take our bakery treats to the beach or just continue walking. V loved the fresh ocean air. Whenever the wind wasn't too crazy we'd walk the sand or sit on one of the old driftwood-made benches at the end of nearly every street in Tolovana Park. 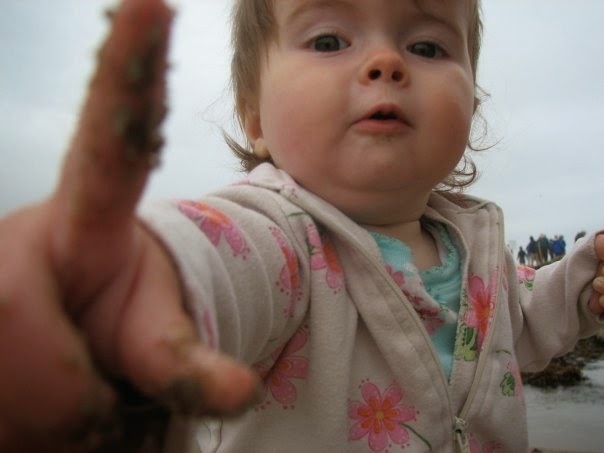 I have some great "selfies" (before they were called that) of V & I one day when there was a negative tide and she was just solid enough to totter around on her own. 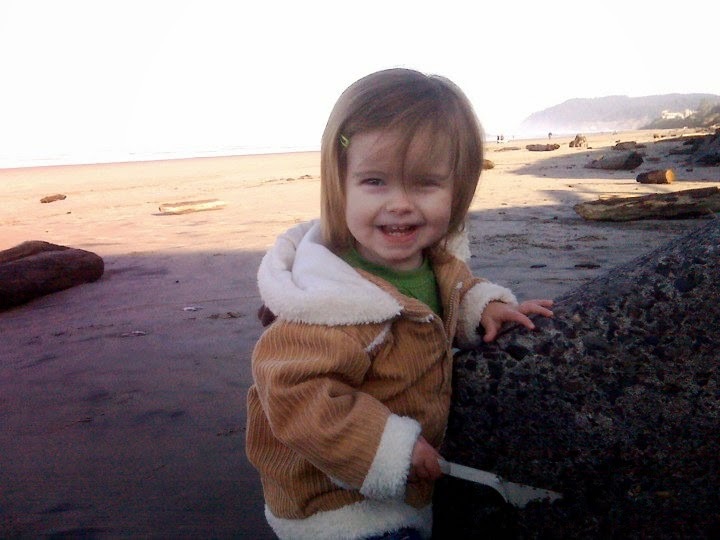 We explored tidal pools and she discovered how fun wet sand can be. Our Beaverton mornings were just as adventurous in their way but I'll save that for another day. I don't have this freedom of time with Ivy, at least not on the weekdays and I feel guilty for it. When Vienne passed I swore to myself that work would never trump time with family and I have become a classic hypocrite on this. I work ten hour days in order to establish myself in a new career in commercial real estate. I tell myself that in a year or two I'll have a better foundation set where I can blend working from home in the mornings and spend time creating stories with Ivy. And yet, who knows more than us that we never know what even the next hour will bring? Jesus spoke of this fruitless future planning and I think of those words often on my way to work. Are the sacrifices today worth what tomorrow may bring? Last year I would have unhesitatingly said no. Take as much as can be gotten out of every day and as much time with those you love as possible. Yet as time has passed we have new dreams as a family and I have new visions of how I want to grow with Ivy. 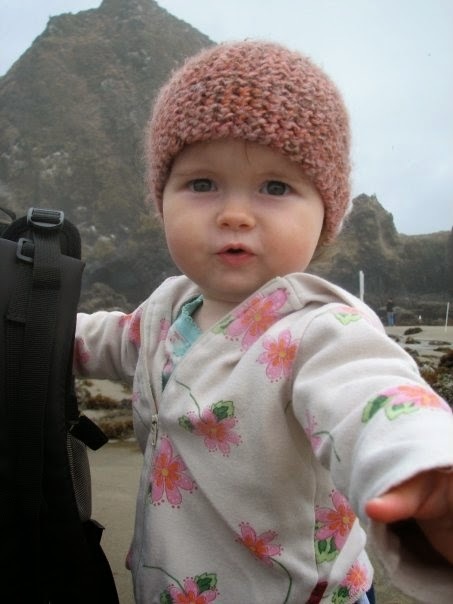 Those plans involve professional freedom and so in my subconscious scales I have weighed and determined that not having mornings with Ivy like I had with Vienne is worth the future I may have with Ivy that I'll never have with Vienne. Right or wrong, I love Ivy with a fierceness that borders on insanity. Every, and I emphasize every, morning they are heavy steps and an aching heart that have me walking out the door and away for the day. I'm so sorry you both have to go through this. Myocarditis is a sneaky, ugly little thing. Don't burden yourself with guilt, you're working hard to create a comfortable home and so Ivy can be with her momma and that's nothing to feel guilt over. I have no words of comfort other than I am so sorry...prayers for you both. Oh this is such an awesome reflective post. 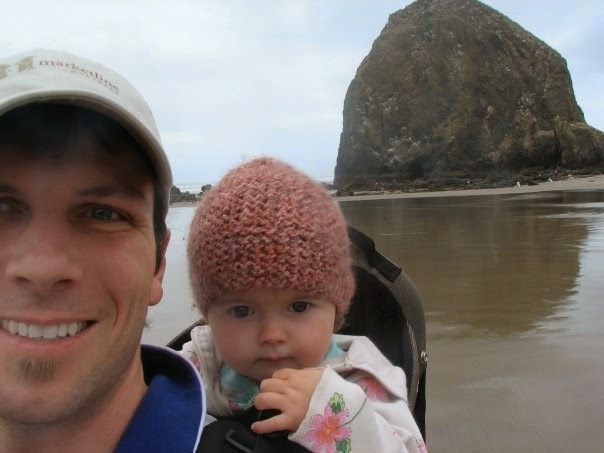 Your Ivy is a beautiful little girl that is lucky to have Mark as her daddy! Beautiful words, Mark. Thanks for sharing. So good to hear your heart Mark. Thanks for your honesty. Will never forget those days when we'd see you walking V in the early hours, or watching her munch treats at WOG. You're the real deal Mark. Love you. Oh Mark, what a sweet strong Daddy you are. 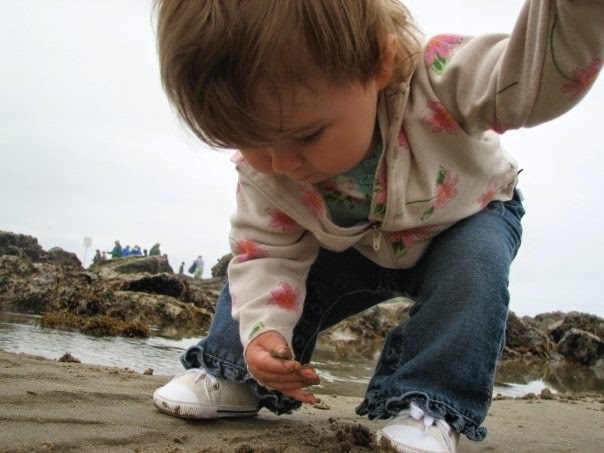 You will be treasured in both your daughters' eyes as their first hero. May all the moments you share be blessed. Thank you for sharing these treasured details and memories. It always blesses me to hear every story about you as my son and little Vienne. I remember when she was just a baby, woke up in the morning , and seemed to love being on a blanket on the floor of her room, naked, smiling at you, and grabbing her feet, squirming and stretching, so joyful to be with her "Dad" to start her day!! !